Even if you have ideas about the garden you wish to create, a professional garden designer can help you with approriate plant selection and layout. They should be able to point out good features in the landscape to enhance, or bad features to disguise, while making good use of available space. They should also take into account the ongoing maintenance required and your abilities/budget. While there is some cost involved in hiring a designer, your garden is an investment. Good advice could help you avoid expensive mistakes. Lost growing time also results from having to to move or replace unsuitable plants. This page is intended to let the residents of Queensland know about Garden Designers / Garden Design Services / Landscape Designers / Garden Consultants / Garden Planners available. 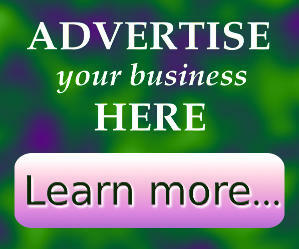 May include online suppliers. For the most up-to-date information on plants in stock, opening hours, prices etc, be sure to visit the seller's website or contact the business directly. van Veen Organics is a growing permaculture plant nursery, educational centre and consultancy. The nursery supplies a range of quality, affordable native species, fruit trees and other edible or medicinal plants. Open to the public via appointment (including after-hours pickups) and most Fridays. Permaculture consultation, design and implementation. Workshop schedule is available at the WEBSITE, plus more about the services available, plant lists and helpful permaculture garden advice. Whether you're revamping an established garden or starting from scratch, Wombat Horticultural Services can devise a plant list or garden design to suit local conditions and your needs. With 25 years experience in horticulture, selection of the right plants for your garden is a speciality. Some garden centres may also offer garden design services or be able to put you in touch with garden designers in your local area. 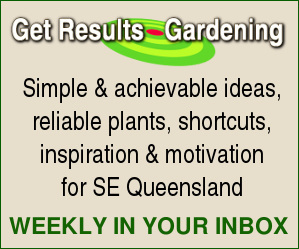 If you're a professional garden designer in Brisbane, Gold Coast, Sunshine Coast, or anywhere else in Qld, more information about the inexpensive and targeted advertising available in the directory above (or elsewhere on the site) can be found here. Nurseries offering garden plans as well as independent garden designers may apply. The following are for general information and ideas. Your own garden design will be greatly influenced by the particulars of your climate and other aspects of local environment in addition to your house style, personal lifestyle, municipal regulations etc.